Chocolate drip cakes Cape Town: These lovely white chocolate drip cakes were made for guests in Durbanville. 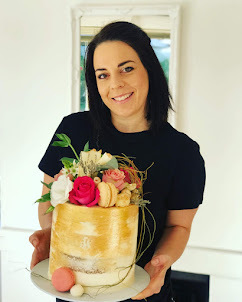 The large 22cm cake that is 20cm high and easily serves 35-40 guests are R980. The smaller cake at the back serves 20 and are 16cm wide and 20cm tall. 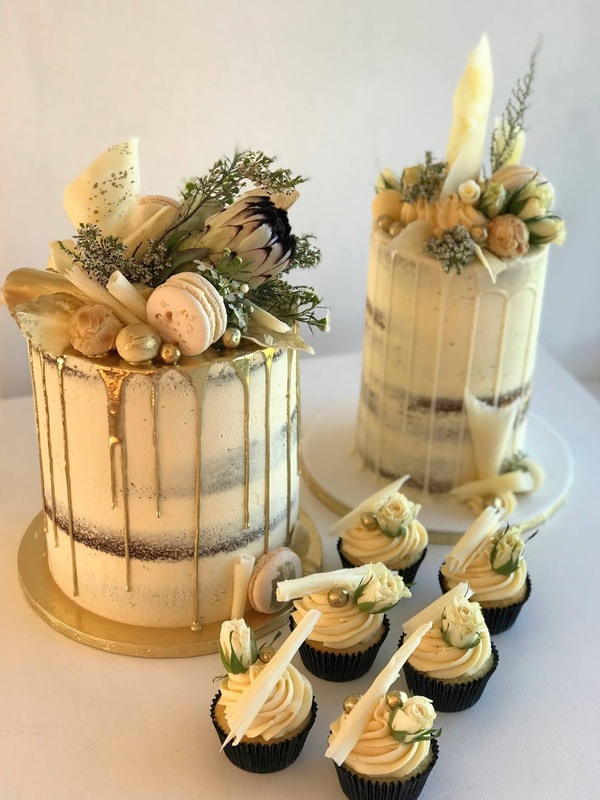 The cost is R680 for the smaller cake. Cupcakes are R25 each.